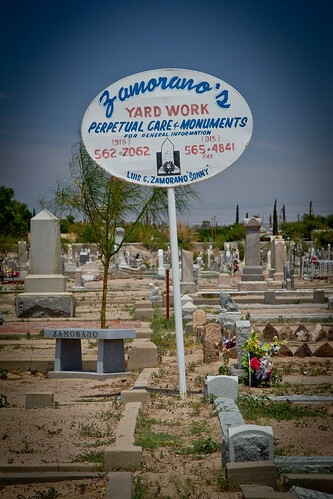 Few places in El Paso are steeped legend and lore like Concordia Cemetery. Enter if you dare, Mu-ha-ha-ha! 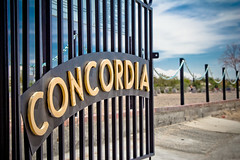 Concordia is the final resting place for all manner of historical figures; generals, outlaws, and civic leaders scattered alongside commoners and unmarked graves. 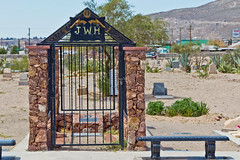 The most famous resident and who’s remains were at the center of a recent legal battle between the city and his surviving family is John Wesley Hardin. The purported outlaw extraordinaire, has had all manner of tall tales told about him. He has been portrayed as a gambler, outlaw, lawyer and heavy drinker with the truth lying somewhere in between. 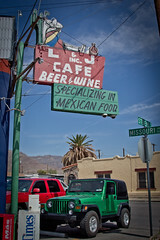 Famed El Paso historian, Leon Metz, has a book about him that you can browse through at Google Books. 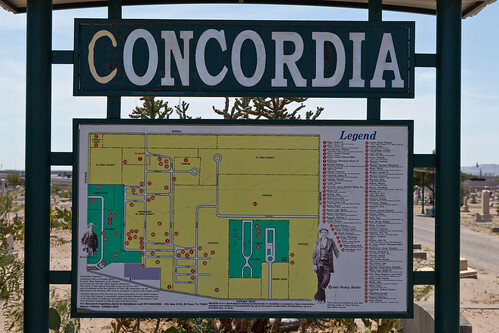 The cemetery is relatively well maintained now, watched over by the Concordia Heritage Association. Occasional vandalism is still a problem but Concordia is nowhere near the scary drug den that I recall being warned about in my youth. 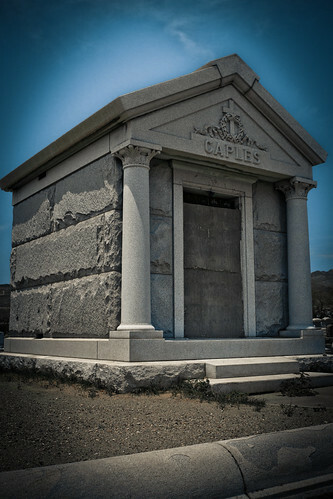 The graveyard is broken out into sections which makes for an interesting walk through on cultural burial customs. 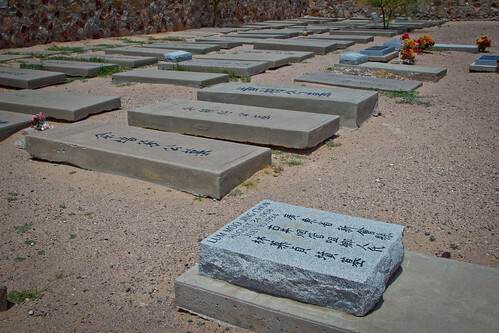 El Paso may not have its own “Chinatown” but we at least have a place to bury the Chinese. I guess if you buy the plot you can do what ever with it. One thing that struck me, as I wandered around looking at the family names scattered around, was how connected to El Paso’s past many of these individuals are. Their names are left not only here but all over El Paso, on buildings and street signs, permanent markers to their commitment to the city’s growth from dusty outpost to sprawling metropolis. L&J, the old place by the graveyard.